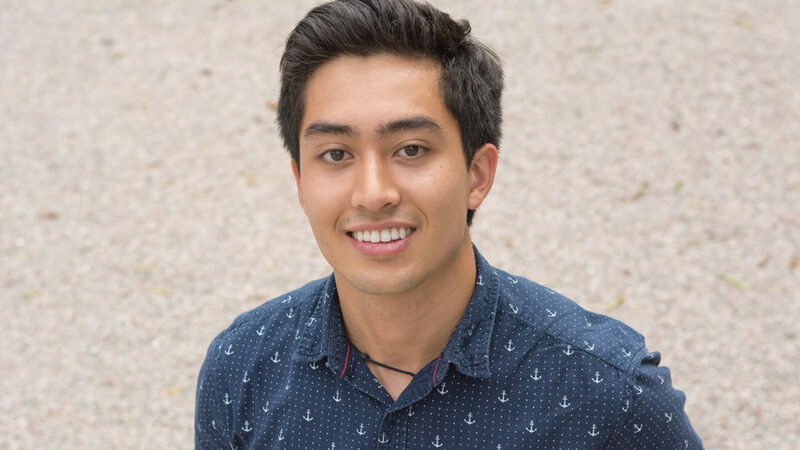 Josh Jimison ’20: I am Josh Jimison, and I am a current junior majoring in chemical engineering at NC State. My life began deeply rooted in the mountains of North Carolina in the small town of Canton. As a God-fearin’, sweet tea-drinkin’, football-lovin’ mountain town, these values were immediately instilled as the foundation of my personality. However, being raised in the mountains developed a trait that has served as a driving force for all my motivations: a profound sense of curiosity. My mind wandered endlessly searching for the explanations that made the mountains special. For example, I would ask why the leaves change colors in the fall, or why the mountains are mountains in the first place. This curiosity persisted throughout school, where great teachers led me towards a fascination in science, particularly in chemistry. However, I had no idea what I wanted to do with my life. In high school, I participated in the most random activities, including interning as a park ranger, working with the Board of Elections, all the while being highly active in Junior ROTC. But if I gained anything from my experiences, it was developing a love for service in the community. And so, I wanted to blend this sense of curiosity and service in my future career. Engineering fit the bill perfectly. Not only could I get my hands dirty and quench my curiosity in the process, but my work would aid the community and its endeavors. And soon enough as I was applying for college, NC State became my calling. With a phenomenal engineering department and an even better school spirit, I absolutely knew I would enjoy my time there. Plus, both my high school and State sport the same color red, so I wouldn’t have to change wardrobe! At NC State, you can find me watching some sort of sport, grinding at the library, and, most probably, napping outside in my ENO. I just love to go out and try something new, each and every day. My time at NC State has been an exploration; exploring not only the environment around me, but also about myself. Coming from a small mountain town, moving to the big capital of North Carolina was a game-changer. Seeing so many people from different walks of life was rather overwhelming. In fact, there were more students in my chemistry class than my entire high school class! Yet, I was able to adapt well to this new environment because of the supportive friends that I’ve made along the way. From chilling at Lake Raleigh to walking through downtown Raleigh, I am hoping to be as familiar with this city as I am with the mountains back at home. In addition, I LOVE the school spirit here at State. Any time that there is a game day, you can feel it in the air. Almost everyone is sporting something red, and the TV screen at Talley is packed with exuberant students. 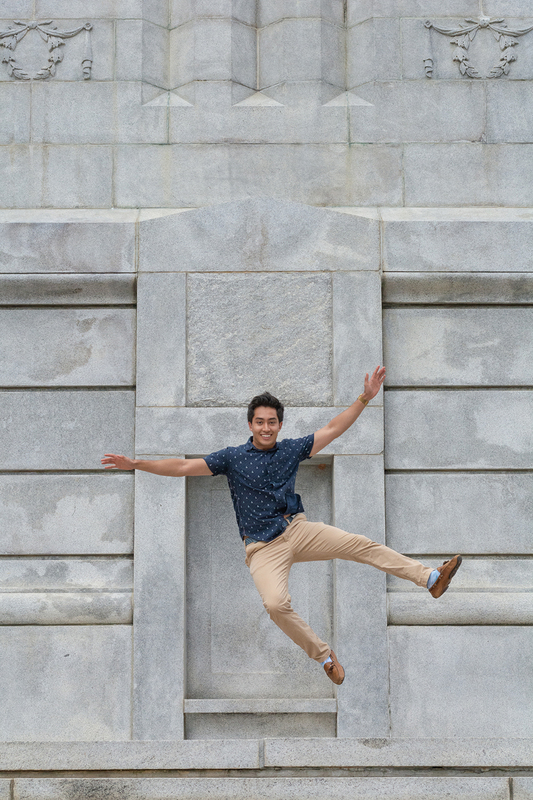 I love joining moments like rushing the Belltower because suddenly the largest university in North Carolina becomes a tight-knit community with everyone ecstatic for the same reason. It’s this enthusiasm for NC State in which I chose to join the Chancellor’s Aides. Through this program, I can share my love for this university by promoting a positive image of NC State to students and alumni at banquets and games. While not directly at NC State, I had the amazing opportunity to study abroad in Poland during my sophomore year. As a program geared towards STEM students, we were learning full STEM coursework all the while being immersed in European culture for four months. As someone who has never had the chance to travel alone, more so in an overseas continent with a foreign language, this experience was an adventure. I wanted to make the most of this program, so I tried all the different food and traveled to every nearby city and attraction. I would attempt conversation with random people, including local students and Uber drivers, just so that I was more acquainted with my new home. I even took a train to Prague to visit the NC State building there. Seeing our red logo in another country was a prideful moment because it enlightened me about our university’s reach for education across the globe. From the moment I stepped foot on campus at the summer retreat, I was immediately welcomed into a program filled with talent, motivation, and most of all, kindness. One of the things I love about NC State is that we have an app called “The Brick”, that has a long list of traditions to check off before graduating. From having a snowball fight at the Court of Carolina to rushing the Belltower, I am very passionate about trying to fill out every single tradition from that list. One tradition that I yearn to experience this semester is painting the Free Expression Tunnel. I pass through the tunnel almost every day, constantly seeing new paintings on it. Every time I am underneath those vibrant walls, I contemplate on the past, thinking about the generations before me that have contributed to the tunnel. Therefore, before I leave NC State, I would love to paint something on it that will be expressive about me. Even though my beautiful masterpiece will probably be painted over by someone else by the end of that day, I know it will forever be a part of the tunnel, under layers of other works from NC State students who want to have the same feeling of community. The Goodnight Scholars Program has provided nothing but blessings. Each workshop, seminar, and special event that I’ve gone to have enlightened me on something I didn’t know and has brought me closer to an unforgettable community. From the moment I stepped foot on campus at the summer retreat, I was immediately welcomed into a program filled with talent, motivation, and most of all, kindness. Everyone that I’ve met in the Program had welcomed me with open arms. From the fellow scholars who provided tips on being a successful student, to the pro-staff whose guidance helped developed my professional growth, the program truly focuses on bringing the best out in everyone. The fact that the program goes beyond assisting in financial terms blows my mind, and the program continues to reach new heights that I never see coming like the addition of the Mayventure and the transfer students. To me, this hospitality and ambition served as a shining example of how I should be in life, and I immediately wanted to contribute to this welcoming environment. Right off the bat, I volunteered to be on the Goodnight Scholars LEGO Brick Build committee. I loved the concept of incorporating STEM principles into toys to promote learning for younger students, and I thought this would be a great experience for someone who has never worked in a planning committee. This experience has demonstrated what exactly goes on behind the scenes and I now have a greater gratitude for the work behind any major event. Plus, I got to work side by side with other scholars with the same mindset of creating a memorable experience for the kids. This made me appreciate our community even more. I personally think a Goodnight Scholar is the embodiment of a helping hand. The very motto of our program, “to pay it forward”, represents our desire to act and assist upon issues within our university and our state. Every time I catch up with another scholar, they never cease to blow me away with their new endeavors. Undertakings like service work abroad or conducting some sort of astonishing research just scratch the surface of the amazing works that the scholars do. Plus, we are not afraid to tackle pressing issues in our world. Many scholars go above and beyond to have their voices heard and to educate others in social matters. Furthermore, our passion for STEM and STEM education serves as a unique outlook on the way we approach our engagements. From Shack-A-Thon to LEGO Brick Build, I think incorporating scientific outreach and methods enhances our message in a way that no other program does. Our go-getter thinking is constantly at play to provide assistance and education in all matters of service, from North Carolina and across the world. And with over 200 helping hands, Goodnight Scholars sure do make a defining impact. In the winter of my sophomore year, I had an rewarding time running the Krispy Kreme Challenge with other Goodnight Scholars. I was already planning on running at the event because it is a major NC State tradition, but initially I was planning on running it solo. Then the Program created a team, and I signed up immediately. Meeting everyone at the starting line was like a family reunion, if your typical family reunion involves cardio in it. We all had matching Goodnight tank tops and everything. This experience was special to me because it showed that I’m not just part of a scholars program, but also a social one as well. Our community is so tight-knit that we are willing to brisk the cold and run five miles while eating a dozen doughnuts. Ecstatically cheering as each one of our teammates crossed the finish line was such a memorable moment. Even laying on the ground in exhaustion after the race, we still managed to joke around and reminisce on the dozen doughnuts we just willingly ate. Memories like these prove that we radiate a caring and supportive environment, even in events that are not just academic. After over two years in an academic setting, I have grown an appreciation in working with chemistry. For some reason, it was one of the only subjects that just stuck with me, and every chemistry class that I’ve taken has been a joy. Not only have the classes and labs in chemical engineering been a key influence, but working in an REU at Johns Hopkins University as also solidified my desire to get my hands dirty with exciting chemicals. I cannot see myself not working in an engineering plant or in a lab. My current sights are towards the pharmaceutical sector. Pharmacists play a key role in helping patients feel better and leading a healthy life, and I would love to contribute to this cause. Thanks to my graduate mentor from my REU, I am hoping to specialize in drug delivery because I am now fascinated by how medicine enters the body in the first place. In addition, the roles I contributed at NC State including Goodnight ambassador and Chancellor’s aides have got me shooting for the stars in sights for a position in outreach. Whenever I am a part of an experience or program that has improved my life, I tend to share my love for it with others so that they too can benefit from the opportunity. It also allows me to interact with a variety of people, something that is not as common in a lab setting. Whether it involves sales or administration, I am optimistic that I can include outreach in my responsibilities. With the goal of intertwining both pharmaceuticals and outreach in my career, I cannot wait to see what the future after graduation holds in store!